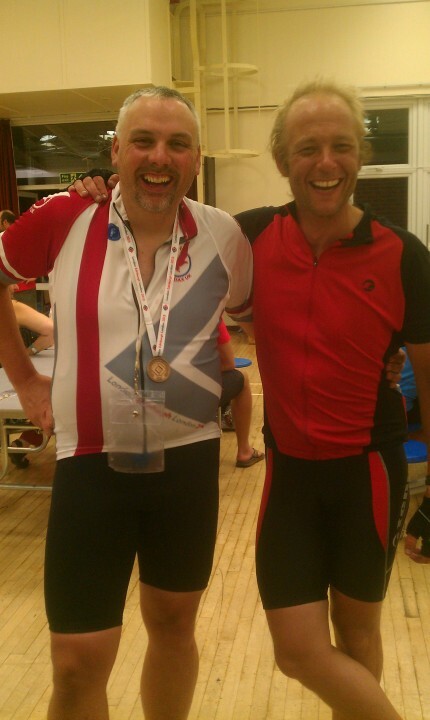 In August 2012, a little over 12 months ago, I completed my first ever “Brevet”, the Around Down 200. It took me over 10 hours. If you’d have told me then that a year later I would be riding over 1400km from London to Edinburgh and back to London (LEL), in 4 ½ days, I would not have believed you. It was a roller coaster ride – emotionally and physically. There were times of great camaraderie, the elation at the top of a hard climb combining with breath-taking scenery and times of loneliness, tiredness and despair. It was like 10 years of life rolled into 5 days. Enjoyed would be the wrong word to use. Achievement would probably be the most accurate emotion. I could probably write pages and pages on LEL – but there are many “ride reports” to be found through google. Mine is here – http://www.top-beer.co.uk/post/2013/08/06/LEL-2013-Nearly-full-ride-report.aspx. Instead I thought I’d write about the harder journey – the one to the start. Most of the lessons here was advice I had received, but like most people, I tend to learn the hard way. The saying goes, the last mile is the hardest, but I disagree. I say the first is. In Audax, you will hear a lot of people say if you can ride 100km, you can ride 200. If you can ride 200, you can ride 300 and so on. So, if you can ride a mile then, if you want to, you can ride the 827 miles of LEL – you just need to “raise the bar”. Raising the bar is used to train big fish, like killer whales and dolphins, to jump out of the water. You start with the bar on the bottom of the pool and give the fish food when it swims over it. You then make the bar higher and higher, again rewarding for going over it, until the bar is out of the water and the dolphin jumps right out. It’s the same for Audax except instead of fish you get brevet cards and medals from Paris. Until five years ago, I thought cycling was just a way of getting to work, or school before it, and keeping in shape. 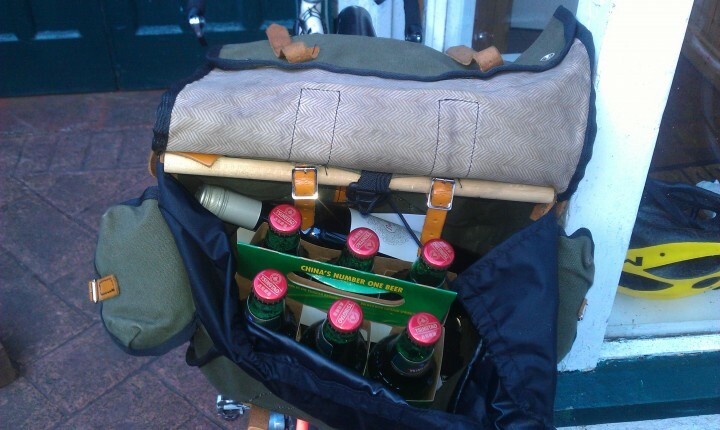 Like most of us, I cycled as a child and, living in the country, cycled to sixth form and to the pub. Later, I cycled to university and, apart from a few years gap when I had to ferry kids around in the morning, to work. I’ve always found commuting by bike keeps me fit and relaxes me at the start and end of the day. Saves money on fuel too. Then someone I was doing some work for suggested I do a sportive. So I did. And over subsequent years did a few a year, like Lap the Lough, Bangor Coastal Challenge and Glenns challenge. The longest of these was around 110km. Again, I worked up to the first by doing 20km, 40km and 60km. After a couple of years I decided to buy a racer (or road bike as they now seem to be called) to look a bit more proper at sportives. Previously I had been using my trusty hybrid, complete with guards, rack and heavy bullet proof tyres. However, I have suffered on and off from a perforated (slipped) disk and was worried about the change in riding position. So I bought an old Raleigh, pretty similar to the one I rode to school, off eBay. Chris Adams: Found a man who would have been perfect. With gun or knife, couldn’t ask for any better. But he wouldn’t do it. Chris: He doesn’t give a hoot about money. Hilario: A man in this line of work who doesn’t care about money? 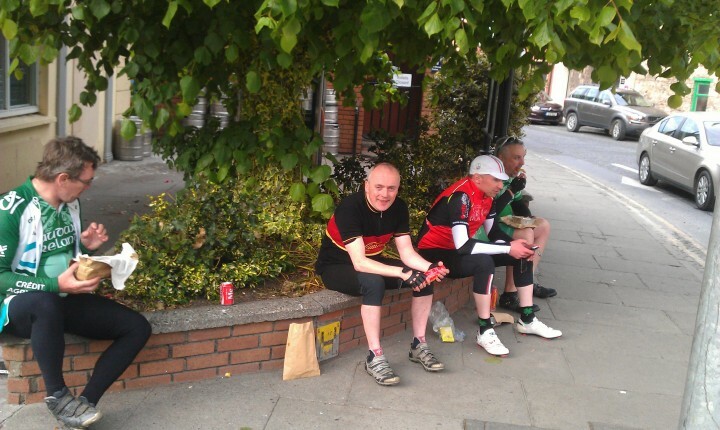 Then, in 2012, I came across the Audax Ireland site and decided to do “Around Down”. Although I enjoy sportives, they can sometimes be a bit testosterone fuelled and I was looking forward to what seemed to be a more relaxed and self-sufficient event. There were about 20 riders. One of them told me how to read my route-sheet. As struggled up through … the last of the group gave me some advice. Don’t try and keep up – you’ll only wreck yourself. Good advice. When you’re going to be going further than you’ve gone before you need to ride within yourself. If you try and go to fast to keep up with the pack (which does save energy) you will have nothing left in the tank later in the day (or night). On a small event this can mean riding on your own for a while. However, I have found on larger rides, that by easing off you will find a group behind you more suited to your speed. (Full ride report here). For the last hour of Around Down I rode pretty much on the drops out of the saddle – sore but. Internet research and advise from groups indicated that leather offers comfort and the Brook’s B17, with its broad base, was comfortable from the off. I now own two. Both comfortable from the off and gets better the more you ride. Everyone’s anatomy is different. If you can, try different shapes, makes and models – but this can be expensive and difficult as many leather saddles require “running in”. Personally, I have never had to use any bum creams, although I did apply Sudocream on LEL as a precautionary measure. Again, find out what works for you. I like to tinker with my bike. Having enjoyed Around Down I started to look at other events. I may at this time read about LEL and had it in the back of my mind. My next target on the Audax Ireland calendar was the Dying Light, another 200km. I decided to change my gearing and fitted a smaller ring on the front. About 40Km in, my left crank came off. I called at a few housed – they were either out or tool-less. Where have all the real men (& women) gone? 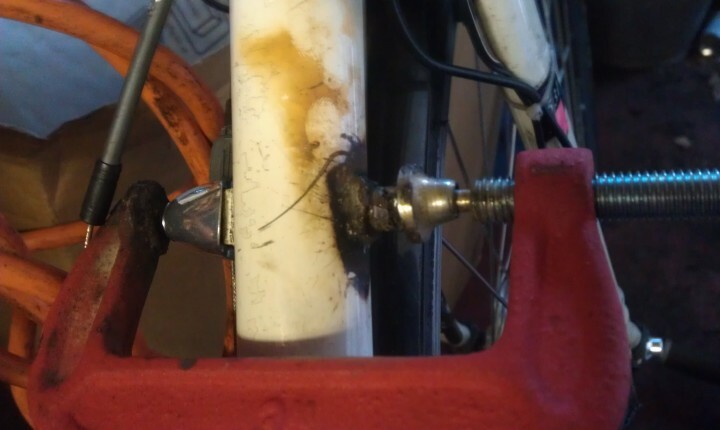 I had to cycle about 10Km with one leg to a garage to borrow a socket to tighten it back on again. Fix your bike a couple of weeks before the event. If you do anything the week before bring all the tools you used. Out from the door where it began”. So, March brought my first 300 – the “Virginia 300”. I arrived at the start flustered, dropping stuff. I actually have little recollection of the event. 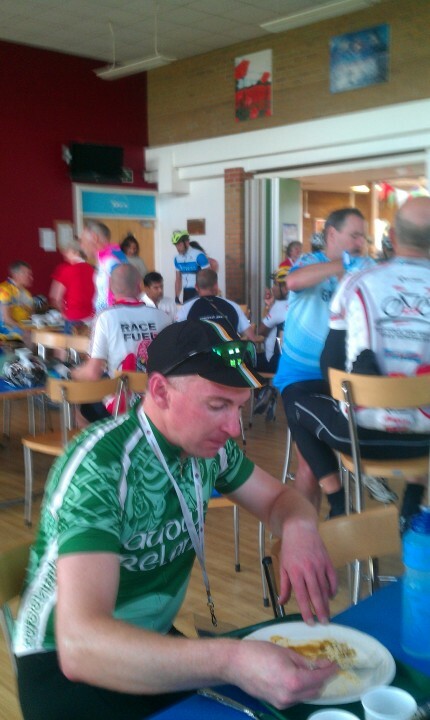 But I do remember at about 230Km being passed by some riders who had just been for a 2 course lunch. I kept pace with them for about 15 minutes tops. “Only 70K to go” I heard, as I dropped off the back. For me it was much less than 70Km. I only had to go to next turn on the route sheet. I just kept making it to the next turn until it was the last! It’s not about the bike, it’s about the food. “You need Chips and curry”. During the Middleton 300 I suddenly lost all energy. Luckily I found a garage with a Centra where chips and curry sat on the forecourt was one of the finest meals ever experienced by man. The Carlingord 300 was the next event. I carried a couple of tubs of tuna pasta and did not regret it. This was a “breakthrough” event for me – I actually felt good throughout. I ate my breakfast at registration and pasta at the first couple of stops. Managed to stay with the main bunch for a good part of the journey and with a smaller group for the rest. Another rider, who on previous outings had been much stronger than me, was struggling. I knew what it was as I had seen the meagre sandwich he had eaten. Chips and curry were an instant remedy. Lots of great advice on nutrition on these pages – if you like the scientific approach – http://www.cptips.com/xtocdet.htm#nutri – but basically get your calories 70% from carbs – preferably high fibre (low GI), 15% from fat and 15% from protein. Actually, Irish garages and village stores, such as Centra and Spar do offer great food, but not necessarily the right sort. My other recommendation is two breakfasts – particularly if you’ve a long journey to the start – one when you leave the house and one at the start. I started bringing a tub with some serials and some milk – register, get your bike packed and eat. I also switched my off the bike habits. I eat in the evening with my family but for the other two meals a day I have complete control. So I moved more towards high carb and low fat diet – orange juice, porridge with mixed dried fruit (sweetens + 1 of 5 a day) for breakfast, pasta mixed frozen vegetables sometimes with tinned oily fish or tuna for lunch flavoured with herbs, chilli or sauce and some fruit. Personally I substitute with a “Beroca” or similar to ensure I’ve all the vitamins etc. covered. This meant by evening I have already consumed 4 or 5 pieces of fruit and vedge. If you want to analyse your food a great app is myfitnesspal. Sounds like some management speak. Obviously you have to train – but what does train smart mean? For me it means training towards a specific goal – i.e. LEL and making best use of my limited time to achieve this. Fortunately, Audax Ireland had a ride schedule for 2013 that read like the schedule from “The long distance cyclist’s handbook”. So, following on from the 300’s came a 400K, the Roche Elliot Kelly. This would be the first “ride through the night” for me (having been unable to enter the fleche). It was an enjoyable ride and I was only very grumpy for the last couple of hours. Again, I was now able to ride with a group which certainly helped, particularly through the night. I have three kids and a business to run – so, like everyone, time is short. I supplemented a Super Randonneur series (200, 300, 400 and 600 km brevets), which was recommended minimum training according to internet (mainly yacf) by 2 hour rides on a mid-week evening/night and similar or longer if possible when no Randonnée at the weekend. These rides were up the biggest and longest hills I could find – I figured this would give me maximum benefit for the time spent. Sportives also offer group riding opportunities, usually over shorter distances. Other riders on the Tour of the Glenns, a spectacularly hilly event, speculated that my full Nelson Longflap contained a defribulator. This was good training for the hills of Carlingford and South Armagh. The final challenge before LEL was the Red Line/Red Lane 600. Make no bones about it – this was a tough ride. But, by now, I knew I could do a tough 400 and I knew I could do a tough 200. So I could do a 600. I just had to get back on the bike and turn the peddles. “… slept for an hour and a quarter across the front seats of my car – a tried and trusted technique. Rose, changed, ate – fantastic bacon sandwich – again more thanks, tried to fix my gears – still no 1’st – cage as bent as a two bob note, dumped all excess weight from my bag, reset trip computer, and skipped off into the morning. And that, as everyone keeps telling me, is the trick. If you’re not doing something to help you turn the peddles (eating, sleeping, fixing, toileting) then be on the bike turning the pedals. I believe Dave had to cut off his left arm to get away. Sounds easy – but being at a control, particularly the luxury LEL ones, is like going for a pint in a free bar. How to lose 2/3 of your bikes weight! My bike weighs about 10kg. My body (Jan 2012) weighed about 80kg. Pretty simple analysis shows that the most weight that could be shed from the bike was 10Kg. So I shed some from me. With a high level of training this was pretty easy – I just cut down on the cheese and crisp sandwiches supper. Over the next 6 months I lost about 7kg – i.e. 2/3 the weight of my bike. For LEL I also got a smaller saddlebag and, because of the bag drops, carried less. Although in fairness – those likely to say it probably have faster gears than me! 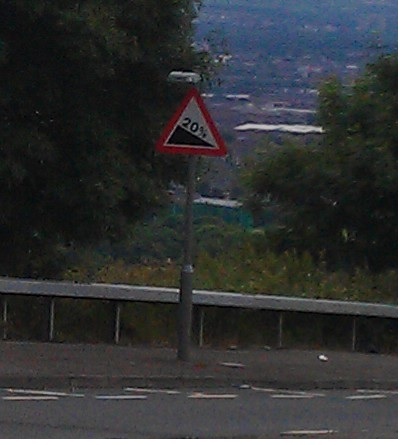 On day 3 of LEL there was a 17% climb. The guy I was riding with, a stronger rider than me, got off (as did a lot of others). He was running standard road bike gears. (Compact front 34/50, 11/25 at the rear). I am currently running 34/50 at the front and 12/30 at the back (can be done on a short mech). But get the right gear for everything else too. When I did the dying light I just had bare legs because I didn’t actually own any leg warmers not, because as I portrayed, I’m a hard man. My last purchase for LEL was a decent rainproof (Gore). Cost more than the bike I rode. Rained hard for 5 hours on day 3. It’s like giving up smoking! LEL is certainly one of the most rewarding things I’ve ever done. I used to smoke. Giving up was hard and there were setbacks – but ultimately it came down to whether I wanted to smoke or not and it’s a decision you have to make every time you are tempted. It’s your body and your mind and you are in control of it. LEL was somehow similar. You just need to decide you want to and then do it. Well, believe it or not, I spent the week after LEL wondering if I could get away with Mille Du Sud – which looks tough but is just near where my parents live so I could drop the kids off there. But I don’t think that’ll be this year. 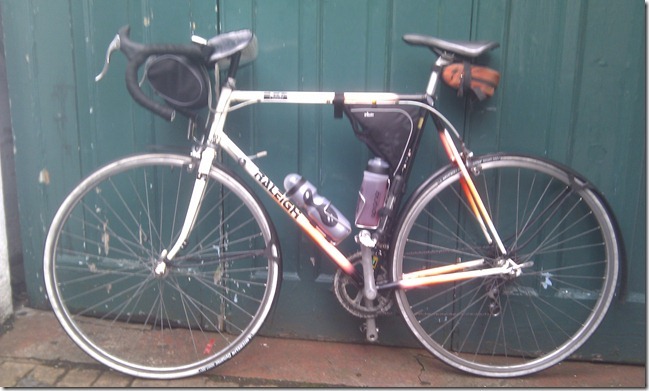 Paris Brest Paris looms in 2015, and SR series means you can register early – so I would hope to do at least that next year – and if I can fit in another Grand Randonée I will. As for LEL 2017 – if I’m not riding it I’ll be volunteering on it.